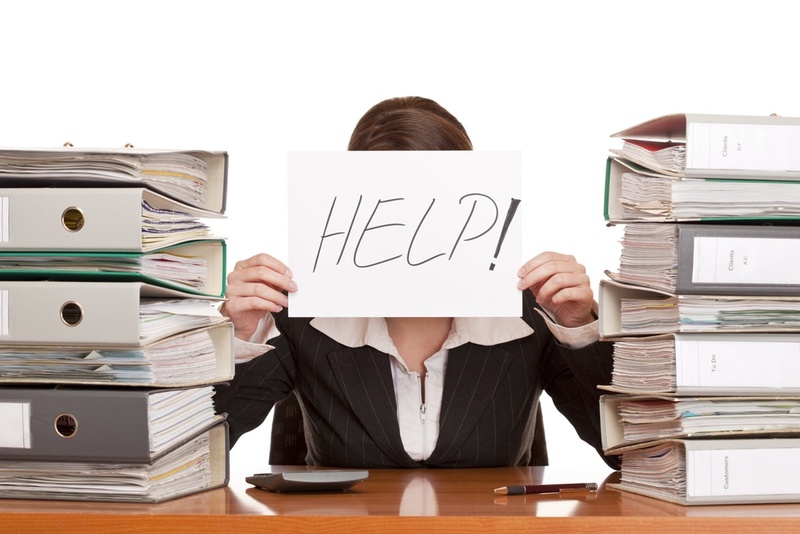 How do you stay on top of your workload and avoid stress at work? To avoid stress due to a heavy workload at work, you have to act than react. Explore how to act in order to stem stress and stay on top of your workload. 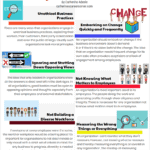 How do you stay on top of your workload and focus more on being innovative and doing the work that will allow you to add value to the bottom line for your organization? Not only can a heavy workload be tiring, it often drives you to work for longer hours than you would really like. This means that you spend the time that you would prefer to spend on things you enjoy doing more of on constantly managing your heavy workload. It also means that you are working when you should really be resting. Worse than this, a very heavy habitual workload leaves you little time to deal with emergencies that come up unexpectedly. This adds to the feeling of being out of control which could be stressful. I came across an article on inc.com on 10 Reasons to Stop Working So Hard and it made me think of how important it is to know how to avoid drowning in a sea of work and how to practically deal with a heavy workload. You may think that you work less hours and that you don’t need any energy drinks to get you through your heavy workload. However, are you listening to your body, signs of fatigue and stress regarding how you stay on top of your workload? Now, check out this scenario: You work at a large company that’s experiencing a major corporate restructuring, and therefore you and the other staff are unsure about your future. You also have a ton of projects to walk your way through. Then, half way through one of these projects with a looming deadline, your boss yells, ‘What are you doing regarding the presentation that I asked you to prepare for me?’ You could barely look up to answer him when he added, ‘It’s now urgent because I need to present it to the Chairman first thing tomorrow morning.’ You could not believe your ears and you’re miffed because he never communicated the urgency before now. As far as you know, he’s presenting it to all stakeholders in a month from now. You bite your tongue, but it means you have to drop the project and take on another task of his with a rocket urgent priority. Meanwhile, yet another priority task is nearly finalised, then an e-mail hits your inbox from another senior manager for you to ‘take charge and care of’ something else for him. And then you look up, your boss is standing in front of your desk, he asks for the status of yet another task. Before you could speak, your phone goes off; you have to deal with a query that’s been lurking in your inbox. Now, work is piling up as usual, there are several deadlines, priority tasks, expectations, attention etc.,…does this scenario sound familiar to you? Well, there is no doubt that your boss expects you to complete your tasks. You also have to think of your objectives for the year, your appraisal rating which indicates a raise if you meet and exceed expectations, meaning you’ve got to do something over and above your job. You also don’t want to be axed during restructuring. So, how do you stay on top of the workload and still impress your boss? However, not only can a heavy workload be tiring, it often drives you to work for longer hours than you would really like. This means that you spend the time that you would prefer to spend on the things that you enjoy doing, with the people you love or the things that helps you to work better on wheel spinning work. It also means that you are working when you should really be resting. Worse than this, a very habitual heavy workload leaves you little time to deal with emergencies that may come up unexpectedly. This adds to the feeling of being out of control which could be stressful. So how do you know if you are drowning in a sea of work and unable to stay on top of your workload? 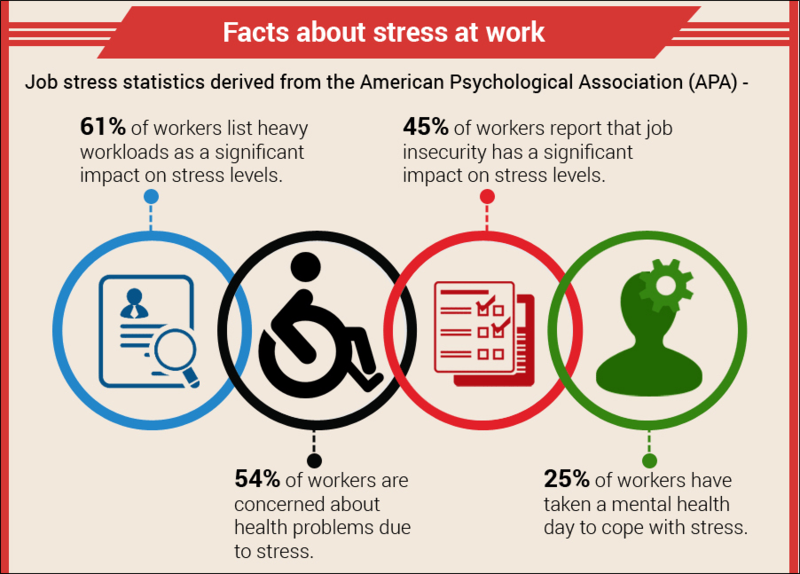 We experience stress at work when we feel that things are out of our control. It activates our stress hormone and wears down our confidence, concentration and general well-being. To deal with stress at work and stay on top of your workload, act than react. First, identify the aspects of the situation you can control and aspects you can’t. Typically, you’re in control of your actions and responses, but not in control of your boss, the other managers or someone else’s incessant disturbances. Think, how can you stay afloat and stay on top of your workload ? You need to deal with and stay on top of your workload so that you can be innovative and take the initiative to do some value adding work? 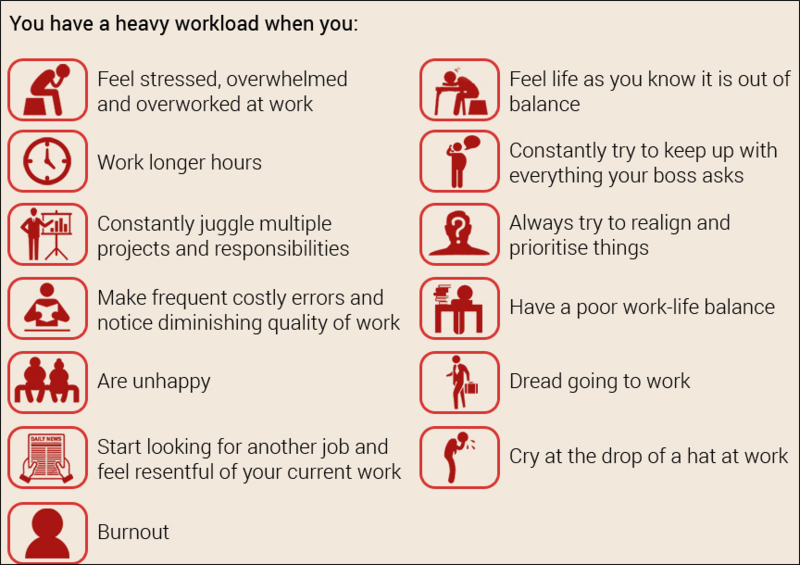 While there is no snappy magic to reduce your workload, the simple steps below are some of the best ways to manage a heavy workload. The tips below might not all be suitable for every situation, but if applied properly, they will help to alleviate some of the stress created by your drowning workload. Understand your organizations’ and team’s strategy and how your objectives align. To stay on top of your workload, you must know that your role exists for a reason and this will ultimately be determined by the strategy of the team that you belong to. This strategy is often expressed in a vision and in the mission statement. In your role, you should help the organization achieve its vision. If you look at your workload and are thinking this is not the case, you need to ask yourself how secure your role is. To stay on top of you workflow, be bold and map out how the tasks you perform align or not. Share this with your boss during a one to one discussion. 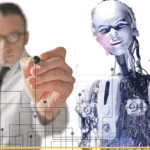 Inform your boss that you will perform the tasks that are strategy driven first – as these are the tasks that add value to the team, your mangers success and the organisation’s bottom-line. These are the tasks that you always should strive to complete first. Sit Back, Breathe and Relax. Try and don’t feel overwhelmed by the number of tasks or deadlines at hand. After all, you can’t do all of them at the same time, there’s only 24hrs in a day, so why worry about all of the tasks at once? Get a cup of coffee or tea, just sit back in a relaxed position, drop your shoulders slowly and inhale through your nose, counting to five in your head. Let the air out from your mouth, counting to eight in your head as it leaves your lungs. Repeat several times. You can also go for a walk to clear your head. You have to plan how to tackle the workload. Compile a list of your tasks with allocated deadlines. If you want to stay on top of your workload, a list will help you to organise your workload. Look and decide which ones you can complete independently and which are the ones you need help with. Separate the tasks based of timelines, stakeholders needs, ease of completion, dependencies and estimated time to complete. Communicate, say how you feel. If you feel that you are finding it difficult to stay on top of your workload, it helps if you politely share your concerns with your boss or supervisor. Ask him for a work in progress meeting to communicate your workload and assure him that you are capable of handling all the projects but he has to look at shifting some of the deadlines for you and also clarify on your list what is absolutely important to focus on first. Avoid using the word, ‘can’t’ during the meeting, but say, ‘I can get the work done but I need you to give me more time on few of the projects as documented,’ or ask, ‘Would you mind if I do these projects in this order and to these timelines?’ This way, I can do a very good job and exceed your expectations’. If your boss agrees, be sure to exceed his expectations by your deliverables. No man is an island! For your prioritised work and the other tasks, you must check that you have the support of your colleagues, the resources and the training that you need to do an excellent job of your allocated tasks. If you do not, inform your boss, network, ask questions, speak to relevant people and start working on obtaining the help and other resources. Reflect on when you’re most productive. Saying no is good, sometimes. Agreed, it can be difficult in some situations, but saying “no” is sometimes the only way to stay on top of your workload. However, be mindful not to say no to important tasks and not say no all the time, but saying no when you genuinely feel and think you cannot do something is better than saying yes and not getting the job done well. Focus, you cannot eat an elephant at once. Think of breaking your day into sessions, of maybe two or three hours. Take regular walk breaks after each session. First thing in the morning, when you get to the office, begin your day with a plan and assign tasks to each session. As you know, there will be urgent things that come up all the time, so be prepared to re-prioritize on the drop of a hat. Successful workload management is important for your job satisfaction. Unfortunately, some managers aren’t always willing to see this. If you are swimming in a sea of work, these 10 tips above on how to stay on top of your workflow will help you to deal with the workload. 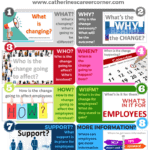 • Making your manager rethink workflow and division of work. If you constantly have a heavy workload, how do you stay on top of your workflow? What have you been doing to handle your workload? Let’s hear from you, just add your comments below.